Knowing you have access to some of the best doctors in the country at CHKD helps some, but it still doesn’t ease that knot of fear in the pit of your stomach. You’re still scared. Worrying about the upcoming surgery is difficult. Seeing your baby boy wheeled down the hallway to an operating room where you cannot go with him is even harder. Waiting for word from the surgeon that the operation is over, and that it was successful, is even harder. Watching for the door to open, waiting for an update, makes time stand still. Seeing the doctor walk finally out, no expression on his face, paralyzes you. But that’s how they’re trained. “Quick update. Cash’s surgery went very well! The doctors say it was almost textbook perfect. They said the only thing was, that once they took him off the heart/lung machine his heartbeat was abnormal for about 10 minutes, and then fell back into sync. They told us tonight or early morning it could fall back into abnormal beating again [which is unfortunately part of open heart surgery], but they are confident with medicine being given for a few months, they can fix it if needed. But they like to give it 10 days or so to fix itself first. Again, we are so blessed beyond belief with so many prayers…by us and by all of you. I know there were so many angels in the OR with Cash who helped make this possible. I just know it. I’m feeling so happy right now! Nothing in the world can prepare a parent to see their child this way, but little man loves us, and we love him. We are so BEYOND grateful for a successful surgery. I will continue to pray for the success to last a lifetime. 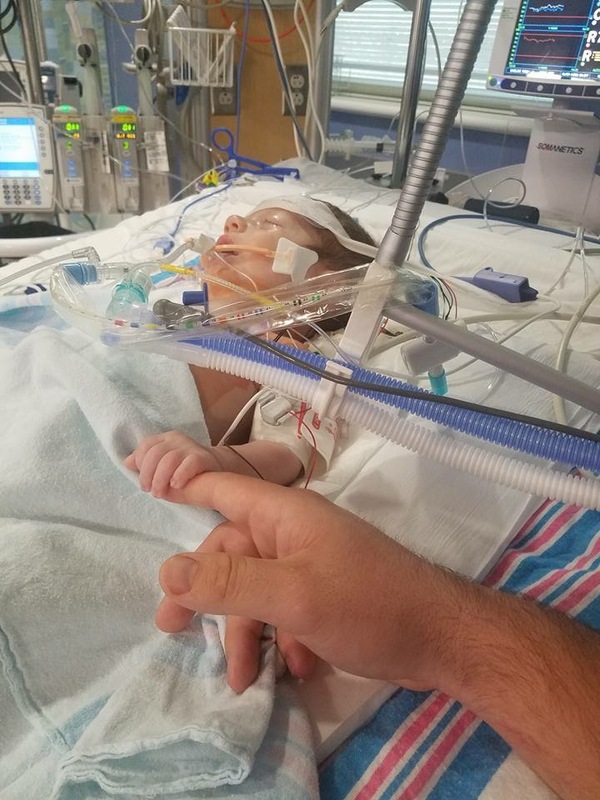 What heartfelt words from a father whose infant son has just been given a second chance at a wonderful and exciting life. Baby Cash still has a ways to go. He will be in the hospital for at least two weeks. He will be closely monitored, and will require additional medications for quite some time. But he made it through this, and he and his parents will have an inspirational and uplifting story to share. This series is not over. Because this child’s real story is just beginning. Please continue to keep them all in your prayers.